Whether you call it corporate apparel, branded merchandise, promotional products or swag, logoed products are one of the most influential, enduring, and cost-effective advertising mediums available today. Since 2010, UHP Marketing has been developing comprehensive branding programs that incorporate apparel and promotional products that not only delight target audiences, but also get results—including rewards programs, company stores, safety programs, tradeshow campaigns, business gifts, team gear, and spiritwear stores. We started as a support arm for UHP Home Warranty as a resource for contractors and real estate businesses, but we’ve grown into a full service, corporate partner for businesses across all industries. Our comprehensive, consultative approach to developing promotional campaigns has made us a go-to resource for business owners, corporate marketers, meeting and event planners, and HR pros who need distinctive, memorable merchandise programs—not just promotional clutter. Think of UHP Marketing as your promotional marketing brain trust. We want to educate, engage and empower your brand. 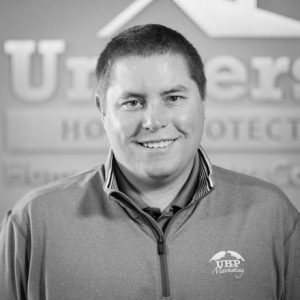 James started with Universal Home Protection in 1998. He earned a bachelor’s degree in Business Administration from St. Norbert College in DePere, WI. His experience includes working within the real estate industry. Growing up with realtors, developers, lenders, and appraisers has been instrumental in providing the footing for a UHP Marketing. Building on a family tradition of community involvement, he currently serves on the Board of Advisors for Coaches vs. Cancer for the American Cancer Society, the Board of Directors for Big Brothers Big Sisters of Dane County, and the Board of Trustees for Edgewood High School of the Sacred Heart. 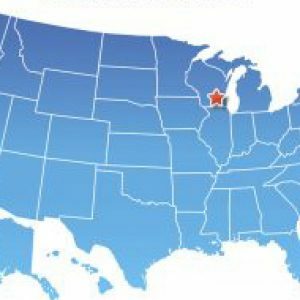 Adam grew up in Green Bay and received a Bachelor of Business Administration from the University of Wisconsin – Oshkosh in 2005 where he majored in Marketing and Human Resources. 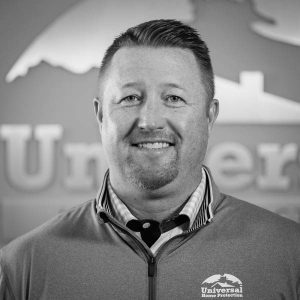 He oversees client relationships and the day-to-day operations of UHP Marketing. He is well-versed in the corporate apparel and promotional products industries and has been part of our team since 2007. We service the entire U.S.
Our program with UHP Marketing turned our safety program from mandatory to part of our culture. I am so happy with the safety rewards program they helped us create. By proposing products that are actually desirable, UHP was able to our teams to have a coordinated apparel line. We didn't create a uniform program, but when I look around the office, everyone is wearing our branded gear day in, day out. Helping convert leads at tradeshows was our #1 priority. Adam came up with a unique and clever way to capture engagements with show attendees. Our promotional products made the show for us!